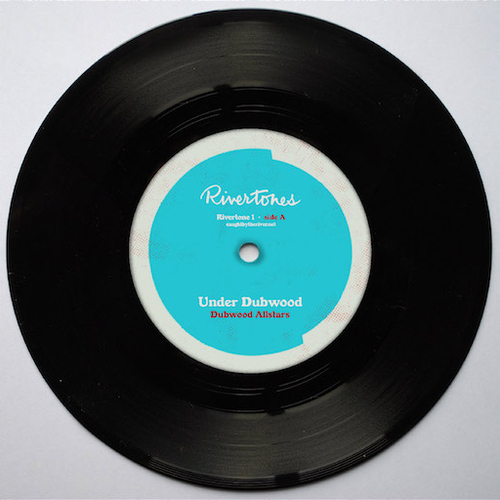 Rivertones – the recorded music of Caught by the River – have repressed their classic 2012 Dylan Thomas-in-dub 7" Under Dubwood by the Dubwood Allstars. Although Under Dubwood might seem an incongruous mix - the words of Dylan Thomas, the voice of Richard Burton and the studio sounds of King Tubby – the resulting single actually makes perfect sense – a gloriously woozy psychedelic skank that places Llareggub somewhere just outside downtown Kingston, JA. Since its release five years ago, Under Dubwood has been a staple on BBC6 Music and was used as soundbed music for the BBC’s coverage of Dylan Thomas’ centenary in 2014. It remains hugely in demand from the Caught by the River shop and has been sold out for the last eighteen months. The identity of the Dubwood Allstars remains a mystery to all at Rivertones. On the B-side of the Under Dubwood 7" is River Theme by the Time and Space Machine (aka acid house stalwart Richard Norris of the Grid and Beyond the Wizard’s Sleeve). River Theme is a hypnotic, fuzzed-up garage groove that’s equal parts Dirty Water Club and Trash.